​Zion Williamson's PG shoes burst on Duke's first possession of Wednesday's game, and a nation mourned. But Nike didn't have much time to sit and stew in their sadness. They had to get to work. The apparel giant released their official statement on the matter​ early Thursday morning past midnight, and they ​wish Zion well immediately, while still interested in learning what exactly went wrong. ​​We bet this is, indeed, an isolated incident, and something that probably won't be happening to you unless you happen to be nearing 250 pounds of pure muscle and can cut like a point guard. 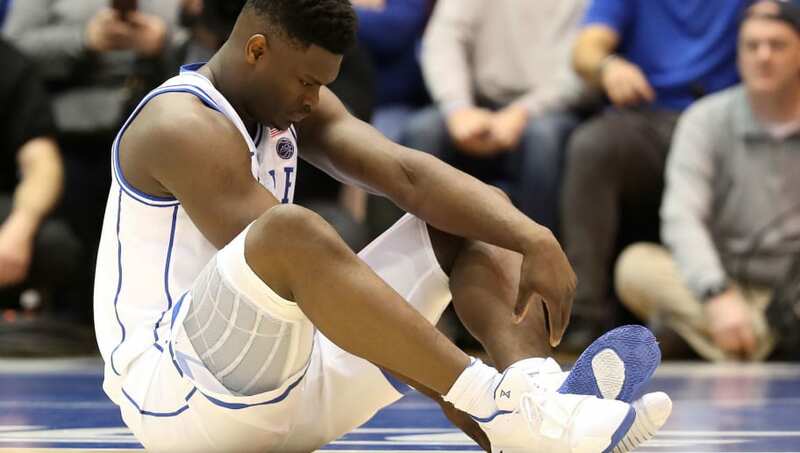 Zion Williamson's a unique specimen, and these shoes -- at least, in one highly public incidence -- couldn't handle him. That's not phenomenal for the brand, considering he's most definitely moving onto the next level. Odds are, he'll be playing it safe, however. No experimenting with Puma. It'll be Nike for life, so for everyone involved, they better get this right. This statement was a fine step one.